Twentieth Century Fox hasn't given up hope. 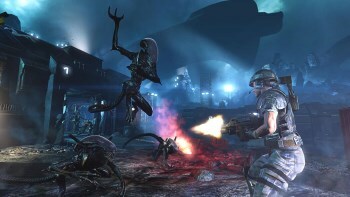 Twentieth Century Fox has trademarked a new Aliens title, Isolation, for use with computer game and video game software, downloadable mobile software, and decorative magnets. And what magnificent magnets they will be, but as far as the game goes, we know nothing apart from the name. This comes in spite of the well publicized disaster that was Aliens Colonial Marines. It might have something to do with a Tweet Ed Vaizey let slip a few years back, which would mean UK studio Creative Assembly has a hand in Isolation; given that Assembly is best known for strategy titles like Rome II, this could mean Isolation will have RTS elements. Or not. All we have to go on is an Aliens: Isolation trademark. The vertical slice of gameplay video should be along at any moment.